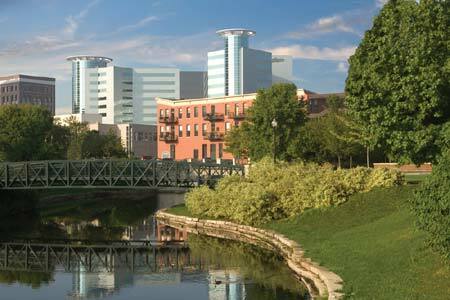 Come join us for the 2015 NAGPS Midwest Regional Conference March 27-29, 2015 in Kalamazoo, MI. Please check out the 2015 NAGPS Midwest Regional Conference Facebook page for updates! NAGPS regional conferences serve as a forum where student leaders from the region come together to share best practices, learn about national platforms, and grow in their understanding of issues relevant to graduate students in the Midwest. As such, we invite each school that will attend the conference to organize a 30-minute presentation, roundtable discussion, or panel about an issue relevant to graduate student government and improving graduate student life. This includes, but is not limited to, organizational structure, leadership development, advocacy, programming, legislative concerns, organizational continuity, budgeting, networking, social justice, employment, organizational branding, work-life balance, international students, communications, legal concerns, event planning, and academic and professional development. Please limit your abstract to 250 words or less, and submit before Friday, March 13. During the business meeting portion of the conference, elections for each of the positions will be held. For each position, each candidate will get the chance to give their “campaign speech” followed by question and answer by the membership. Afterwards, a closed discussion and closed vote will determine who is elected. (NOTE: Regional Chair positions are elected at the National Conference). If you are interested in hosting the 2016 Midwest Regional Conference, you must submit a letter of intent to the NAGPS Executive Committee (excomm@nagps.org) AND Regional Chair (mwrc@nagps.org) before the regional conference, March 27, 2015. This letter shall provide two important elements: (1) approval of the graduate-professional student organization (GPSO) to host the regional conference; this can include approval from your GPSO, Dean, or Administrator, and (2) a named Director of Regional Conference to coordinate planning and volunteers of the regional conference (the Director must be a member of the host organization). Time will be allotted for questions on each proposal. After all regional bid presentations have concluded, there may be a closed discussion followed by a vote of the membership. The majority vote of the regional membership will elect the host institution for the 2016 Regional Conference. For more information or questions, please contact the Vice President, Zachary Brooks at vp@nagps.org. Welcome Dinner on Friday, and Social Event on Saturday are casual. Conference on Saturday is business casual. The National Association of Graduate-Professional Students (NAGPS) would like to invite you to the 2015 Midwest Regional Conference at Western Michigan University in Kalamazoo, MI. The NAGPS Midwest Region represents graduate-professional students in the states of Michigan, Ohio, Indiana, Illinois, Kentucky, Wisconsin, North Dakota, South Dakota, Iowa, and Minnesota. Annually we come together to discuss the issues and concerns that are important to graduate and professional students in our region. This is also an opportunity to network and meet other leaders through the Midwest and exchange best practices with your graduate organizations. The planning committee is working hard to provide you with the best experience possible. Please check out our Facebook page at NAGPS Midwest Region for updates. On the behalf of the Midwest Regional Board, we are excited for you to come join us this year at Western Michigan University.